This salad is really speaking to my senses—I mean look at it, this thing is gorgeous! The moodiness almost seems wrong for spring, but beets are still showing up at the farmers markets and the sweet crispness that comes from the oranges and tarragon makes this one a year round favorite. Tarragon is a stupendous source of magnesium, iron and zinc. ***Side note—ladies, if it is your lady time eating foods high in mag, iron and zinc is a really really good decision. Not to mention the grounding energy in the beets, which is good when your body is super busy being a lady. With Tarragon, fresh is best, best, best. It is far more potent eaten fresh. Tarragon is also easy to grow, and it’s delicate silvery green leaves are a feast for the eyes. When acquiring or growing tarragon, go for the French variety. The Russian stuff is a bit bitter and has a slightly different flavor. This is good made ahead of time so that the juices can all mingle around and get all juicy together. Feel free to vary the orange varieties to whatever is available for you! Roast Beets: I roast my beets whole. I just pop them on a cookie sheet into a 400 degree oven and cook for approximately 30 minutes, or until tender. Check by poking with a knife or fork. While beets are roasting, finely slice red onion and place in a dish with apple cider vinegar and a pinch of salt, to slightly marinate. Set aside. Once beets are ready and cool enough to handle, peel them. The peels should slide right off when you rub the beet between your fingers. Cut up the beets, wither into cubes, or into thin slices. Add all beets to a bowl. Peel oranges and cut however you like. 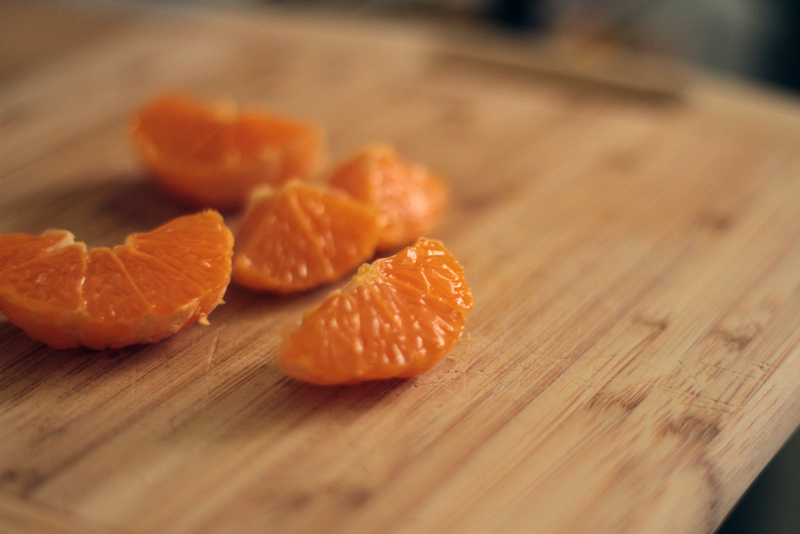 I like to cut the whole orange in half, splitting the segments, and maybe in half again, depending on the size of the orange. Add oranges to the bowl. Finely chop the fresh tarragon, and add to the bowl as well. Add onions, olive oil, and the juice from one satsuma orange. Stir it all up, to get the juices all mingling together! Serve! Scoop up a spoon-full of these jewels and enjoy! Also delicious served over a green salad, or in a pita with hummus!